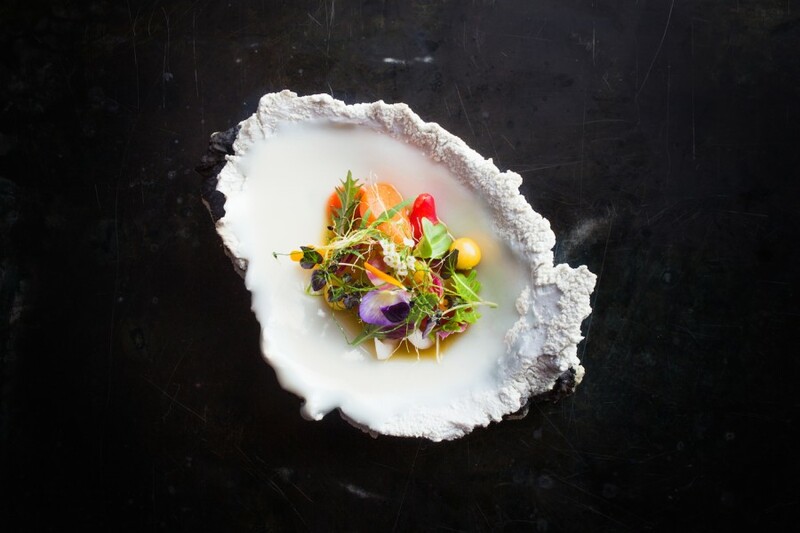 Ceviche of fruits and vegetables with flowers from David Kinch (Manresa) served on a ‘Landscape’ plate by Erica Iman. 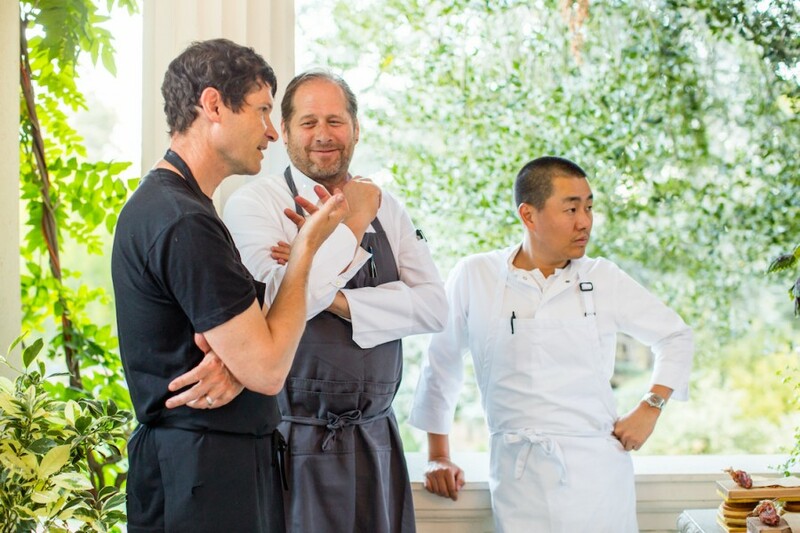 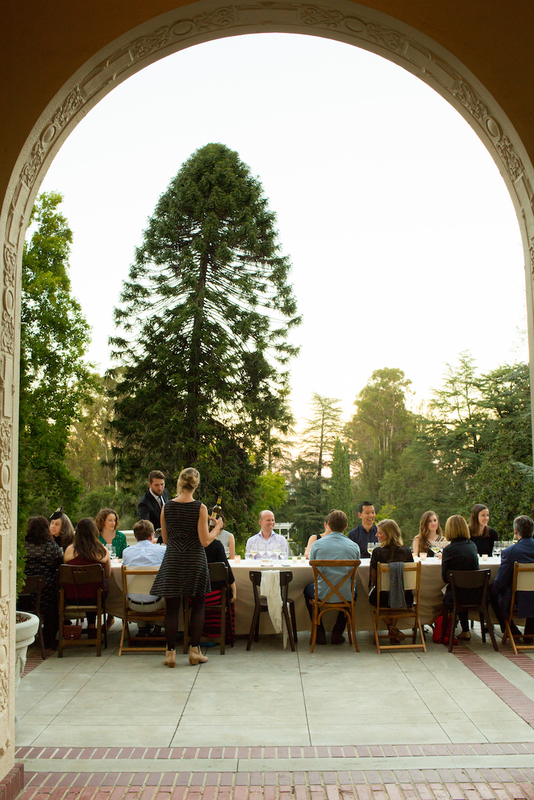 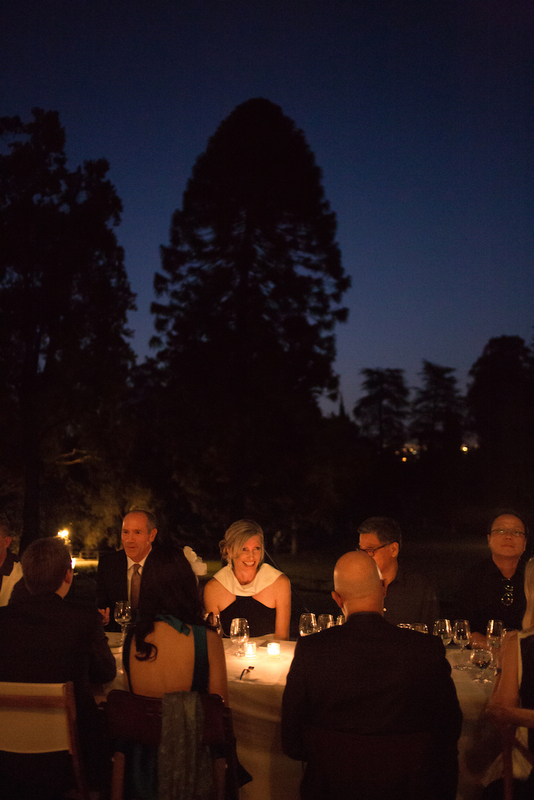 Daniel Patterson, David Kinch and Corey Lee during Steinbeisser’s Experimental Gastronomy at the Villa Montalvo in Saratoga, California. 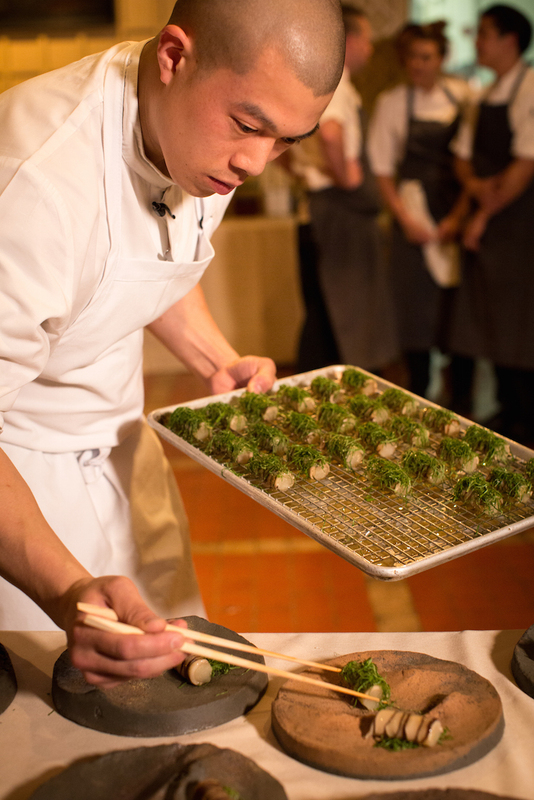 Team of Corey Lee (Benu) setting eggplant, shiitake, sesame Leaf on ‘Mountain’ plates by Mitch Iburg. 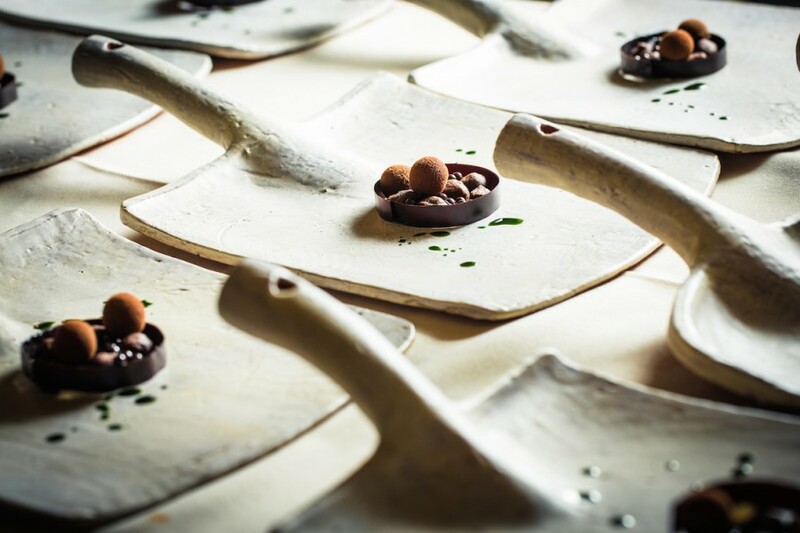 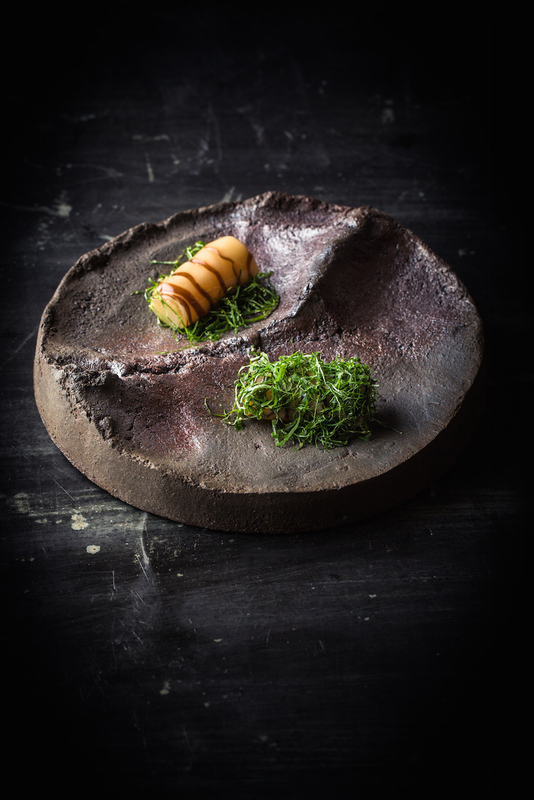 Eggplant, shiitake, sesame leaf from Corey Lee (Benu) served on a ‘Mountain’ plate by Mitch Iburg. 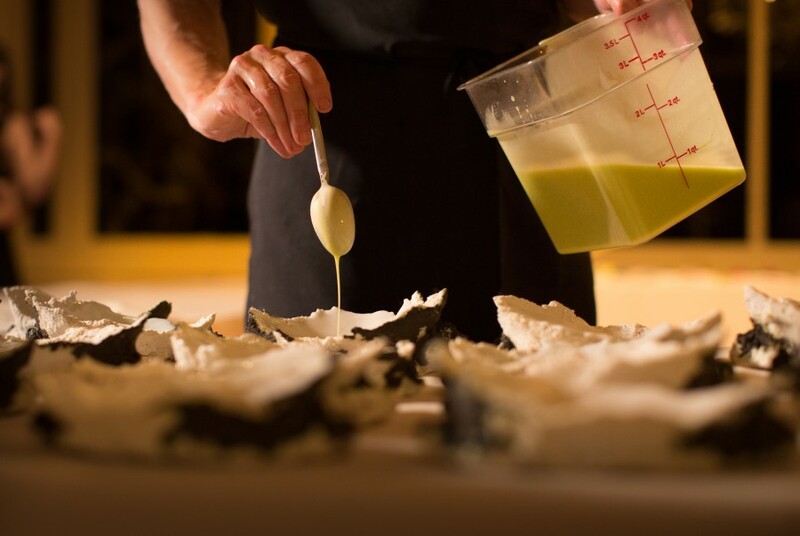 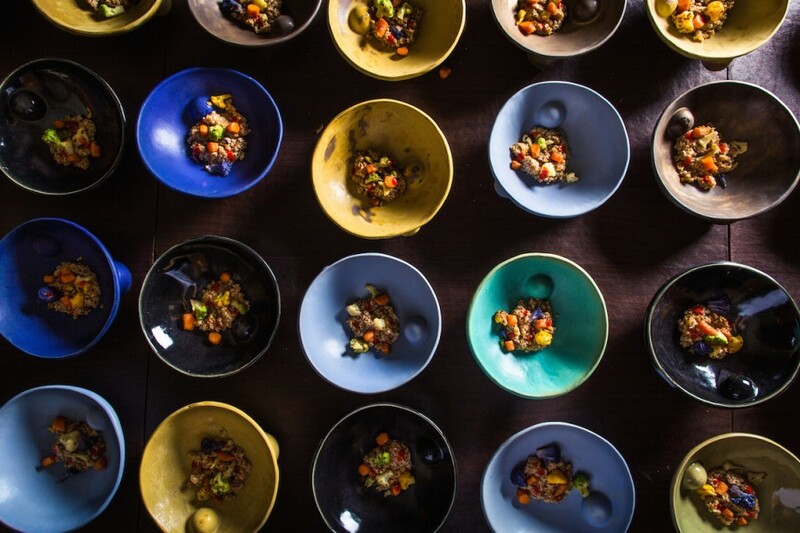 Daniel Patterson (Coi) setting cabbage, potato, chanterelles, walnut and lovage in ‘Landscape’ plates by Erica Iman. 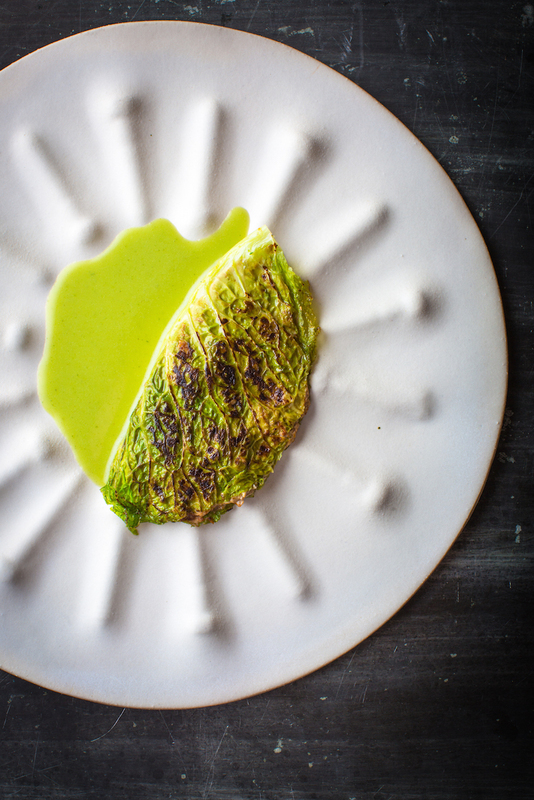 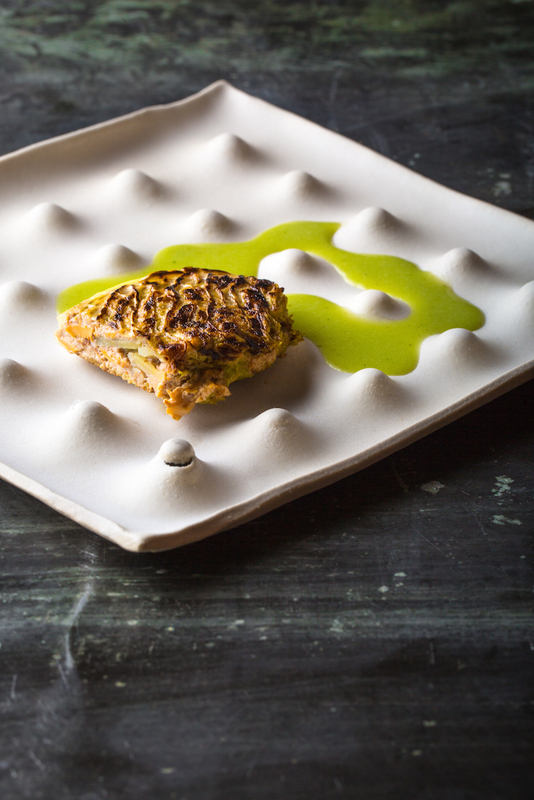 Cabbage, potato, chanterelles, walnut, lovage from Daniel Patterson (Coi) served on a ‘Wire Nut Grid’ plate by Luke Shalan. 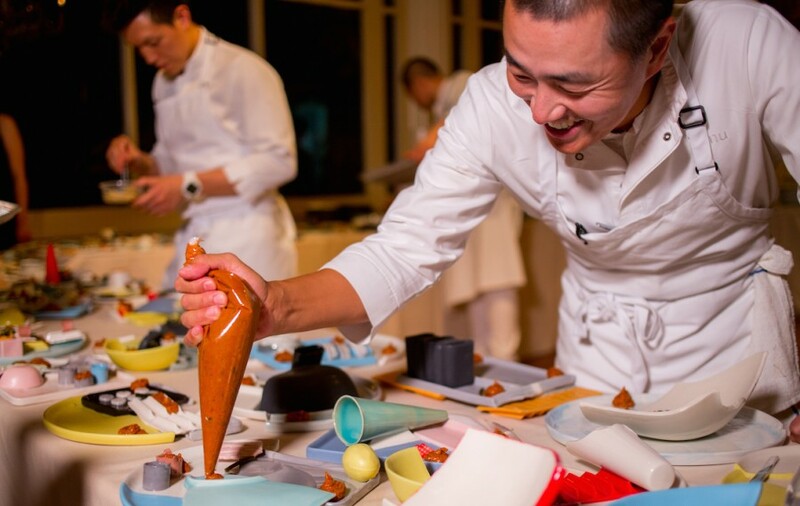 Corey Lee (Benu) setting rice with assorted condiments on reassembled broken ceramics plates by Felt+Fat. 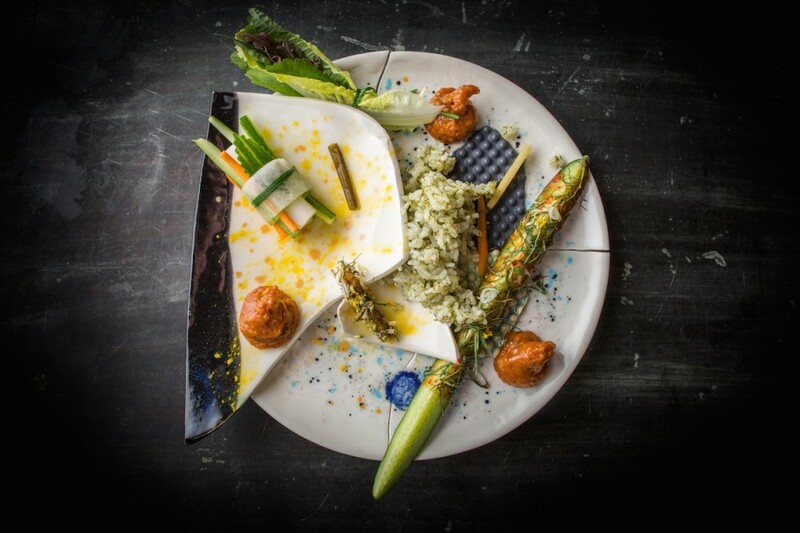 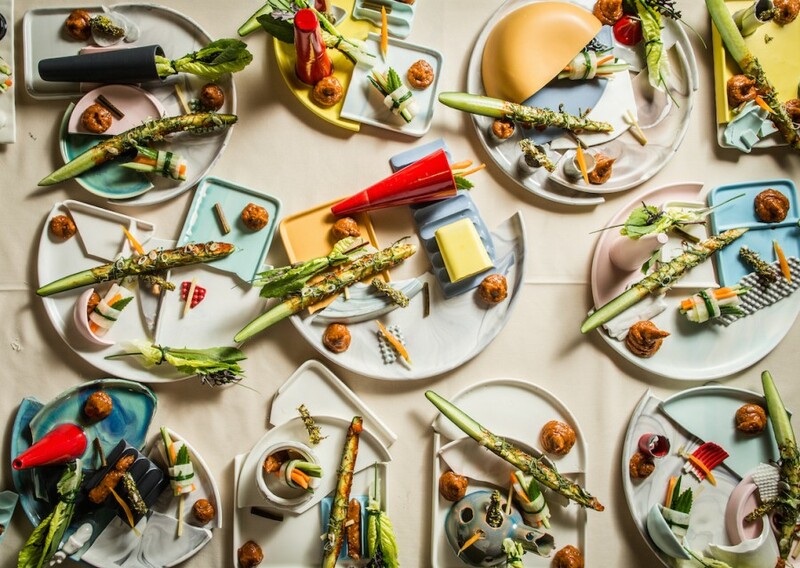 Rice with assorted condiments from Corey Lee (Benu) served on a reassembled broken ceramics plate by Felt+Fat. 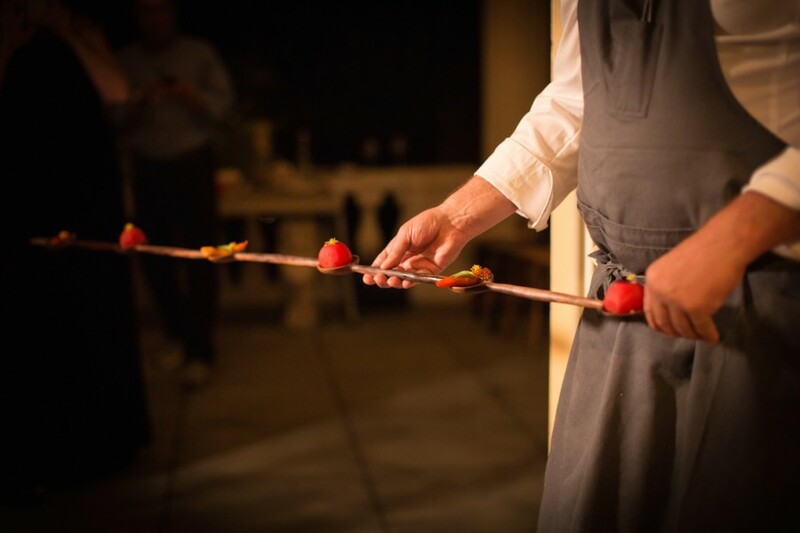 David Kinch (Manresa) serving “Petit Farcis” epper and tomato on a sculptured walnut spoon by Julian Watts. 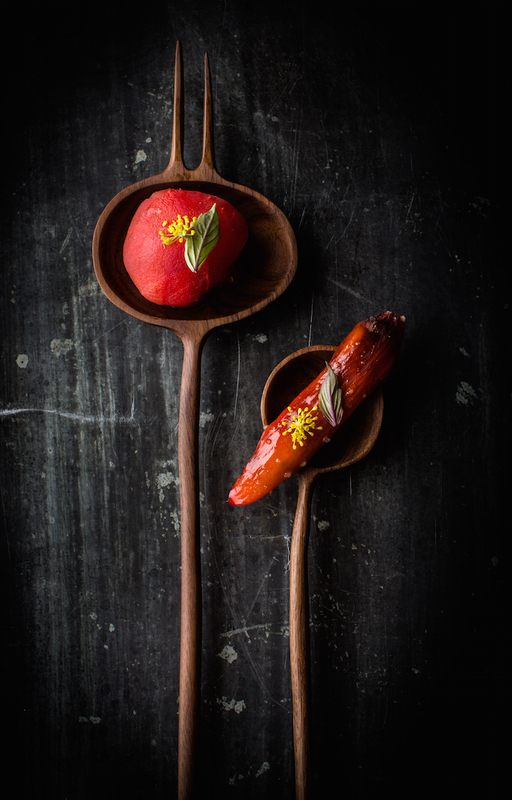 “Petit Farcis” pepper and tomato from David Kinch (Manresa) served on a sculptured walnut spoon by Julian Watts. 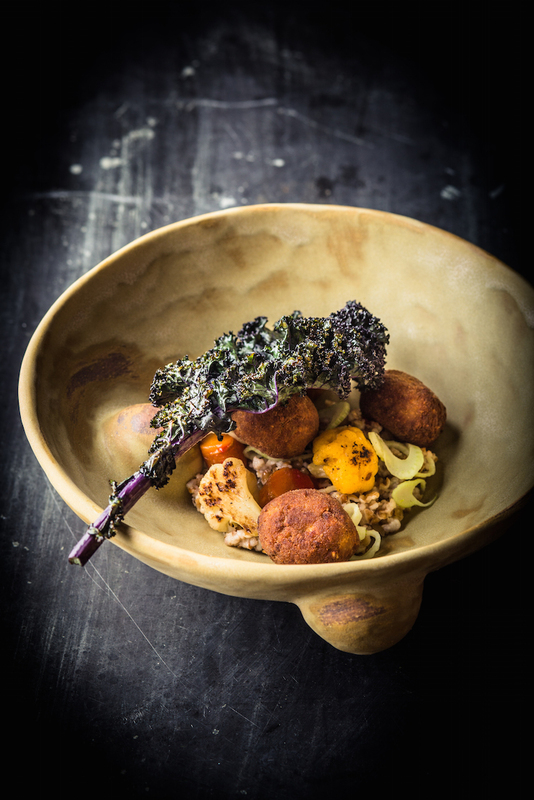 Croquette, bulgar, purple kale from Daniel Patterson (Coi) served in a ‘Knob’ bowl by Virginia Scotchie. 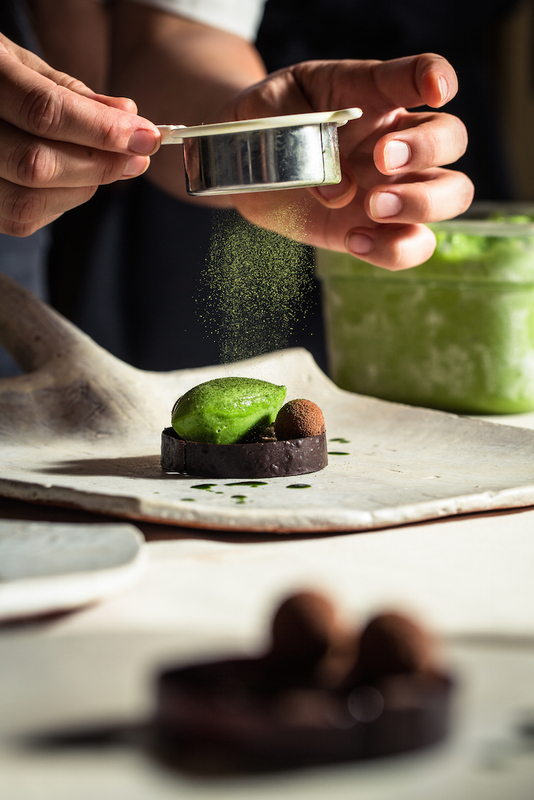 Pastry chef Stephanie Prida (Manresa) setting garden herb sorbet and bitter cacao on ‘Shovel’ plates by Joe Pintz. 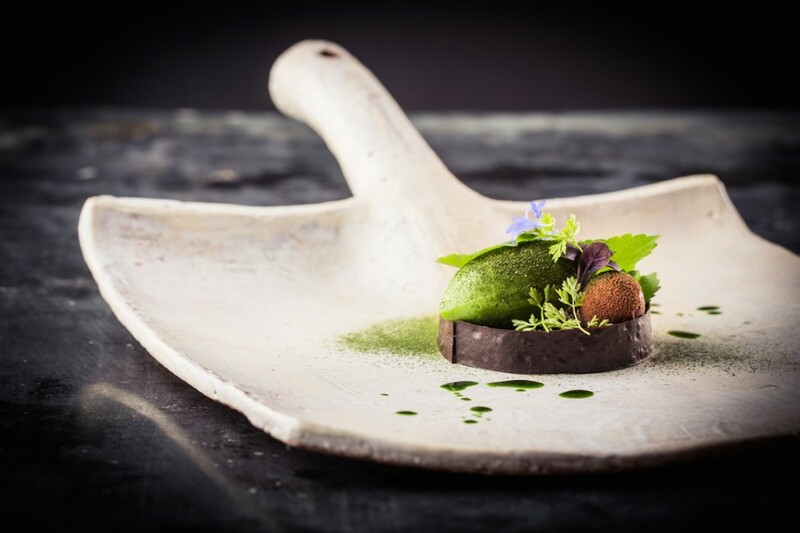 Garden herb sorbet and bitter cacao from pastry chef Stephanie Prida (Manresa) served on a ‘Shovel’ plate by Joe Pintz. 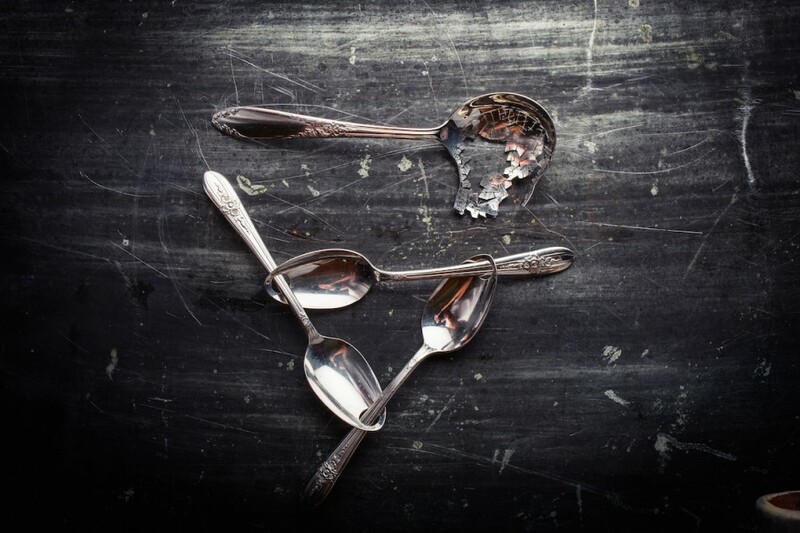 Transformed antique sterling silver cutlery by Brian Weissman. 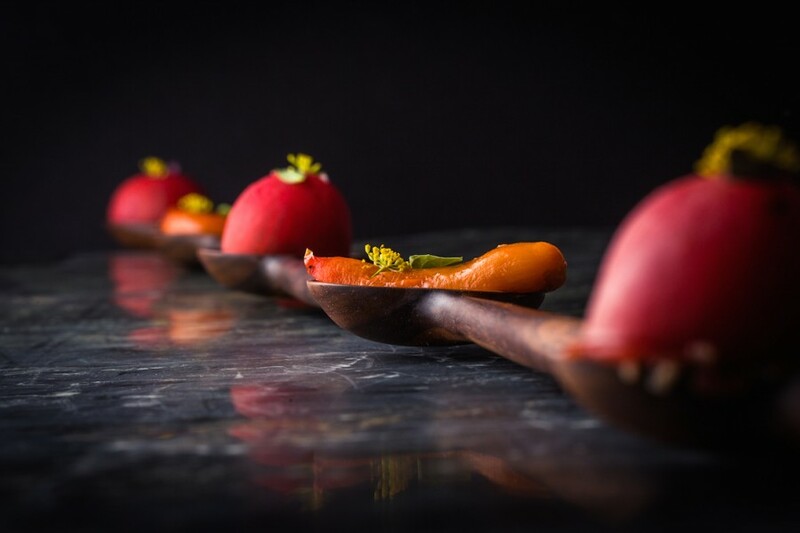 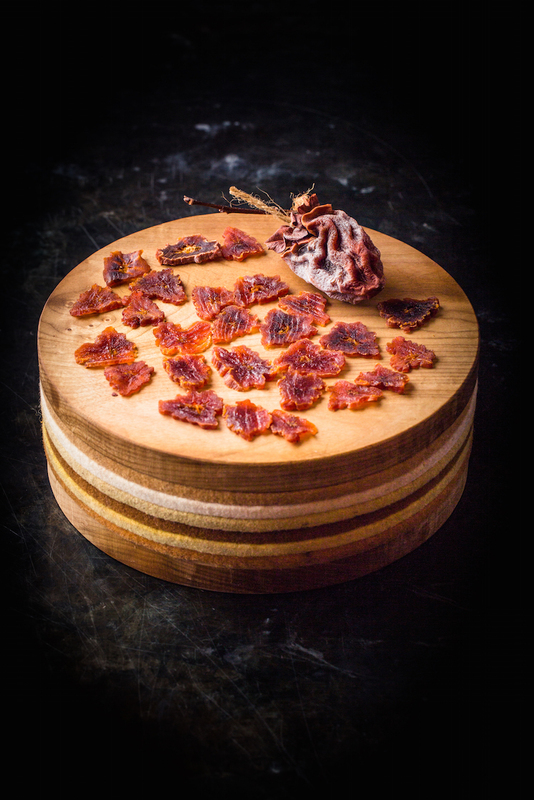 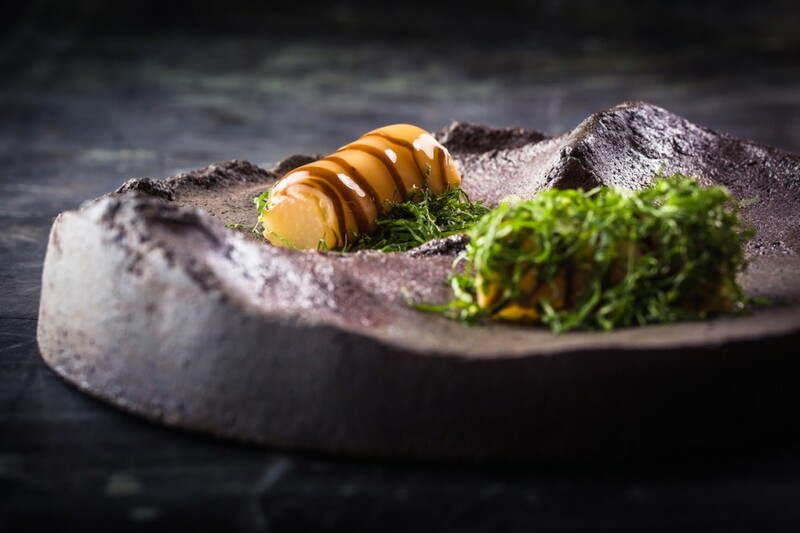 Air-dried Hachiya persimmons (Hoshigaki) served on a ‘Big Cake’ plate by Andrea Blum.